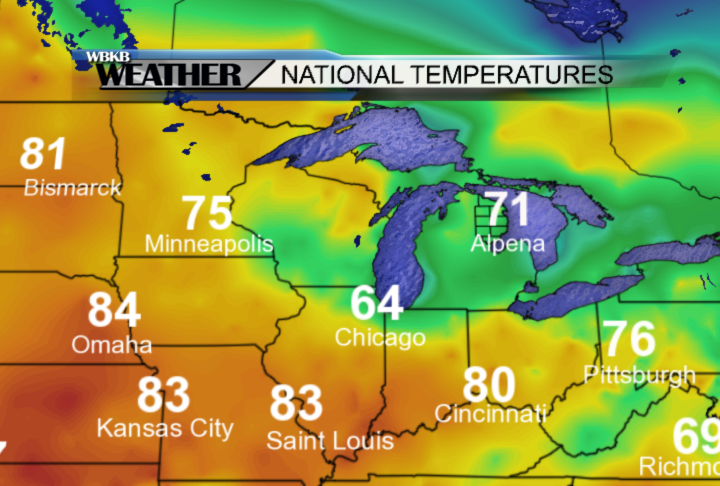 Temperatures today topped out in the low 70s in Alpena, but the temperatures are going up from here. To our southwest, temperatures have been in the 80s around St. Louis, Kansas City, and Omaha. 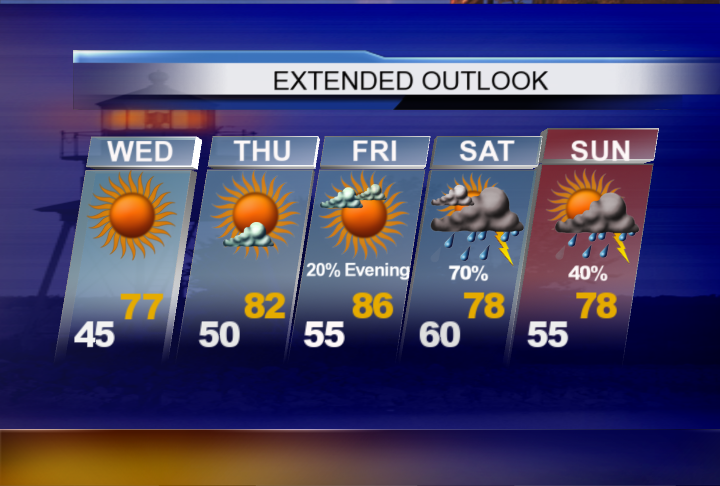 Our temperatures will be heating up into the 80s beginning on Thursday. 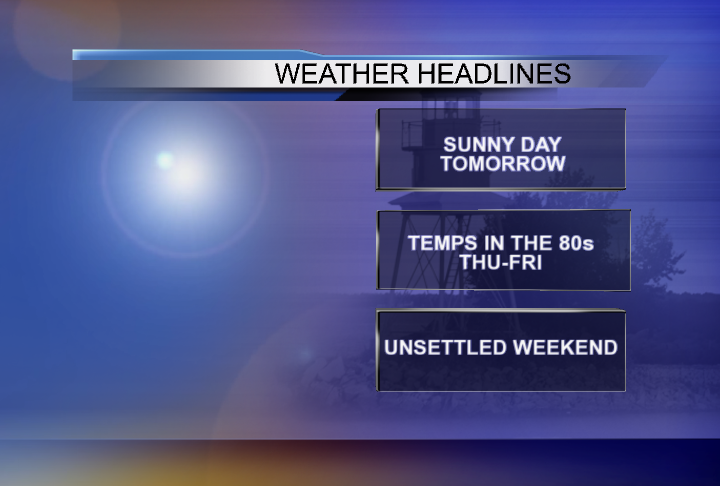 Another sunny day is on the way tomorrow, and the bright skies will last through Thursday. Tomorrow’s high temperature will reach the upper 70s, then temperatures will peak at 86 degrees on Friday. The added heat and humidity will eventually give way to some instability this weekend, with scattered thunderstorms in the forecast on Saturday. 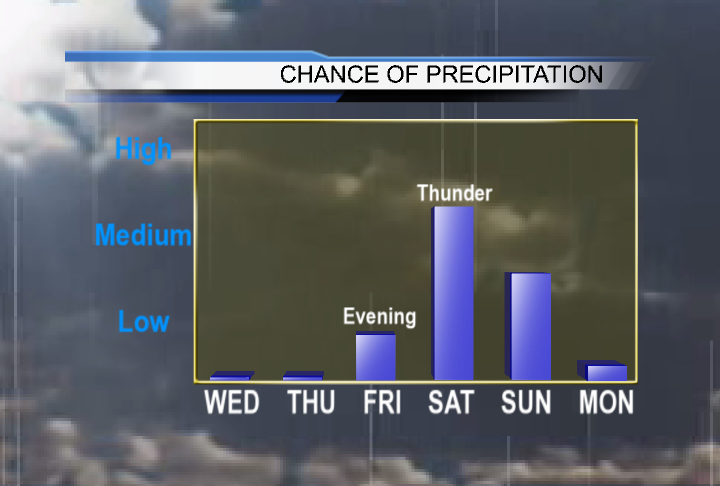 A look at the rain chances over the next few days shows no chance of rain Wednesday and Thursday. As our sunny weather moves off to the east, scattered thunderstorms in the Plains will move eastward. There is a low chance of showers Friday evening, but the highest risk of showers and thunderstorms will come in on Saturday, and a chance of showers or thunderstorms will linger around into Sunday. 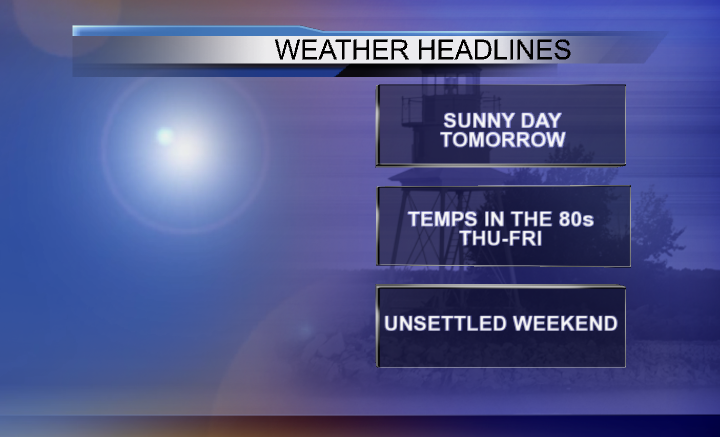 After high temperatures reaching the mid-80s on Friday, we will see highs in the 70s over the Memorial Day weekend. Although the holiday weekend will start off with unsettled weather, the early outlook for Memorial Day Monday is looking dry with highs in the mid-70s.